In the midst of a successful run in Korea, KIM Byung-woo’s thriller The Terror, LIVE has just gone on release in North America and is poised to expand across the continent throughout the rest of August. The Terror, LIVE opened at the CGV Cinema in Los Angeles on August 9th. The film is opening today (August 16th) in Chicago, Fullerton, Atlanta, Las Vegas, Philadelphia and Seattle, with further dates confirmed in Dallas, San Diego, Houston, Vancouver and Toronto for August 23rd and then New York and Irvine on August 30th. The thriller will also screen in New Jersey, San Francisco, Santa Clara, Washington and Honolulu, though these dates have yet to be confirmed. Starring Korean superstar HA Jung-woo, The Terror, LIVE features a disgraced TV anchor working as a radio host who receives a call from a terrorist one day and sees his chance to get back on top. 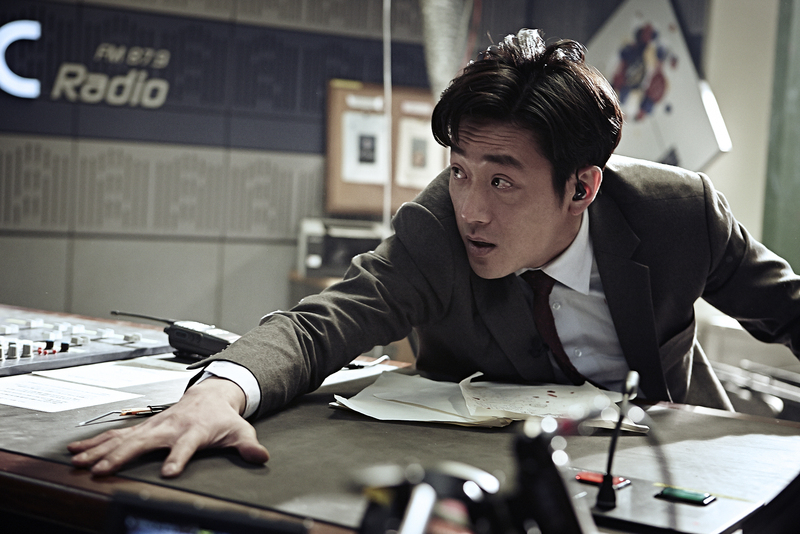 Taking place almost entirely in a radio studio, the film is a thrilling cocktail of tension and drama with a strong script and engaging performance from HA. Despite opening on the same day (July 31st) as BONG Joon-ho's highly anticipated sci-fi blockbuster Snowpiercer, The Terror, LIVE has more than held its own on the box office chart, having accumulated a stellar 4.55 million admissions to date. Though it is now at number four, the film is still pulling in very strong numbers and is poised to add plenty more to its tally in the weeks ahead.